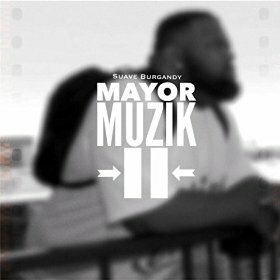 In March of 2015, the one and only Mayor of Oak Cliff Texas dropped his sophomore EP, Mayor Muzik II. Fresh off the heels of his two mixtapes released late 2014, Suavetoberfest and Dirty Politics, Suave Burgandy keeps his campaign trail going. The world's most honest politician seems determined not to let his constituents down with this EP. Suave Burgandy seamlessly flows from street bangers to tracks for the cars on the strip to songs for the ladies. With production from co-conspirators C.G. of Manipulative Musicc and Mr. Nice Guy, the Dallas Zu front man delivers another effort with a little bit of something to satisfy everyone. A couple of standout tracks on Mayor Muzik II are "WTF Are Those" a song sure to be banging out car speakers this summer and the brand new choosing anthem "Tonight" featuring Elle Hobbs. Mayor Muzik II is available now for digital download. Want to preview the EP, check out the stream below!